Our team at Alexander Drive Dental Clinic can help you with your dental emergency. Try our 24/7 Online Booking System today. In case of a dental emergency that requires same day bookings. Perth Preventative Dentistry, will save you money in the long run. Regular visits to your Perth dentist will prevent tooth ache and wallet ache. Cosmetic Dentistry in Perth. Not happy with your smile? Do you want that ‘million dollar smile’? Need a new mouthguard for your next sporting event? ADDC Dental in Perth can help! Dental crowns can cover damaged, decayed or unattractive teeth. Our Perth Dentists can help! Are you due for a Dental Examination or Dental Check-up? 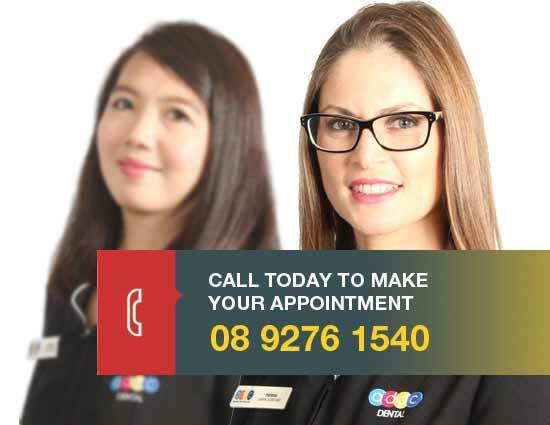 ADDC Dental in Perth are available 7 days a week for your convenience. If you have experienced a broken tooth or tooth damage, contact our dentists today, we can help! Dental implants are surgically placed in your jawbone, where they serve as the roots of missing teeth. Find out if they are right for you. Alexander Drive Dental Clinic is a well established dental clinic in Dianella open after hours for your convenience. We strive to ensure that your general dental and cosmetic dental needs are achieved, giving you that perfect smile every time. We have a team of friendly dentists in Perth ready to advise whatever your dental need is. We have a range of dental treatments to give you the perfect smile you deserve. Our dental treatments include dental implants, general dental check-up for your family, cosmetic dentistry, teeth whitening, Invisalign , sedation dentistry and much more. Call now on 08 9276 1540 or click below to make an appointment. We have tried various dental clinics over the years and have never been really happy. Our whole family now go to ADDC Dental and love it, apart from being a VERY cool place, the staff are fantastic. To make a 6 year old not afraid of going to the dentist is no mean feat! Well done guys, never thought I would say it but going to the dentist is now a pleasure. Would recommend ADDC Dental to everyone.